Marble floors are an investment in your home, so you want them to last as long as possible. There are steps you can take to protect your floor, including using entrance mats to catch dirt and sweeping often. However, there are also products you can invest in that will give your floors another layer of protection. These great products are all available at Nalboor, and they’ll help you avoid scratches or stains on your luxurious marble floors. When shopping for marble, people are advised to use only safe cleaning products. Acidic cleaners can etch the marble and damage it. Special cleaners are made to clean the marble without scratching, discoloring or weakening it. Simple water is enough to handle most clean-ups with your marble, but there are times when you’ll need something a little stronger. When your marble floors are particularly dirty, be as particular with cleaning products as you were with choosing the perfect marble. You have a significant investment in the marble, and you don’t want to use just any cleaner on it. Nalboor has special cleaners that are made specifically for marble. The cleaners can be used throughout the home on any marble surface, and they’re also safe for other natural stones, including slate, travertine, and limestone. The product is very easy to use, and there’s no odor to upset your allergies or leave you struggling for breath. It is nontoxic and safe for regular use, so you won’t have to watch for any build-up around the home. You can turn to this cleaner for your marble-topped furniture inside and the marble around your pool edging outside. It’s an important part of your maintenance plan, so place an order for this product when you order your beautiful new tile. That will ensure that you’re ready to handle the regular cleaning requirements and keep the floor looking sharp. Marble is very durable, and it feels smooth under your hands. However, it has micro-fissures throughout the stone. While you may not be able to see these tiny cracks, liquids have the unique ability of drifting into them and causing permanent stains. This is why it’s so important to catch spills as soon as possible and thoroughly clean them with fresh water. However, this doesn’t always happen in the real world. A glass may get knocked over during a party, or you might not notice that one of the kids dropped some juice on the floor right away. With the floor properly sealed, this doesn’t have to lead to a permanent stain. Nalboor offers a 511 Impregnator sealer that’s easy to use and designed to protect the stone from most stains. It’s UV transparent, so it won’t take on a different hue when the sun shines on it. The sealer maintains the natural look and feel, so you won’t have to worry about your marble being altered in any way. The sealer travels down into little crevices and fissures for an excellent level of protection. In addition to treating marble, the sealer can also be used on sanded grout, Terrazzo, concrete, stucco, quarts, travertine and other luxurious materials. The color of marble travels through the stone, but the surface can become dull. The best way to revive the color and make it look like new again is to invest in a seal and enhancer. While the 511 Impregnator is excellent at protecting the marble from stains, it won’t alter the color. If you want the color to be a little brighter, then you’ll need to purchase 511 Seal & Enhance. This solvent-based formula takes two steps and combines them into one easy treatment. Rather than using a color enhancer and then going back to seal and protect the floor, you can have everything done at once. It’s a great product for the marble counters in your kitchen and the tile front porch you just had installed. It’s freeze and thaw resistant, so you won’t have to worry about your tiles being damaged by it when the temperature turns cool. This product is known for its superior stain protection. It’s water repellant, so water should sit on top of the marble rather than soaking into it. Unlike other products, it won’t yellow with time or leave a filmy finish on the floor. It brings out the glorious colors of your tile, and it’s rated to hold up for three to five years. With this impressive level of durability, you won’t have to worry about resealing your marble anytime soon. High-traffic areas like foyers should be treated every three years, but a low-traffic area like the master bathroom should last closer to five years. People are sometimes concerned that marble will be slippery when wet. This is certainly true of some finishes, but there are finishes that are anti-slip and safe for use in damp areas. Even if you don’t have the tumbled finish, you can still use a specially formulated treatment to give your marble an anti-slip finish. This isn’t necessary on counters or furniture, but it’s vital with marble floors. 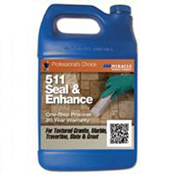 Nalboor offers the 511 Anti-Slip Formula. It’s made to protect stones from stains while minimizing the slippery feel of polished stones. With the surface properly treated, it’s less likely that someone will take a tumble near the pool or fall on the kitchen floor. This product is rated for indoor and outdoor use because it’s weather resistant. It’s very easy to apply, and it can even be used in food preparation areas. 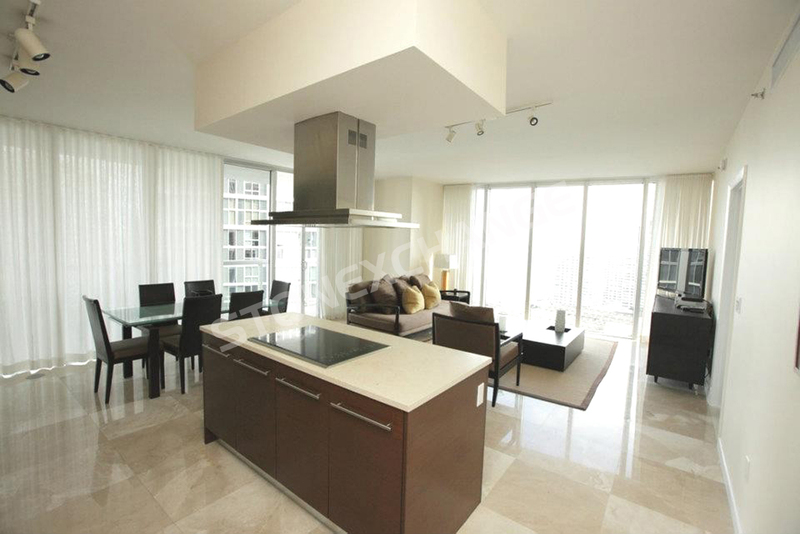 It treats a range of products, including porcelain tile, slate, natural stone and granite. The reasonable cost makes it a top choice for any homeowner that is concerned about safety around the home. Stains are a problem in any area, but some marble applications are in spots that see more water. This includes any exterior application, basements and bathrooms. Nalboor carries a penetrating sealer that exceeds at stopping water from getting into the tile. There are several problems with water intrusion and any natural stone. The first is that freezing temperatures can cause the trapped water to freeze and damage the stone. The second is that the water often carries bacteria and dirt. As the water evaporates in warmer temperatures, that debris is left behind to form ugly stains. Nalboor offers 511 H20 Penetrating Sealer H20 Plus moves deep into the structure of the tile to protect the material and keep water out. An invisible barrier is formed that helps prevent stains and moisture damage by keeping water out while still letting vapor escape. All of these products are easy to use. It’s recommended that you keep the area ventilated for safety, but most of them don’t have strong odors. Masking tape is used to protect any adjacent materials that shouldn’t be treated, and the product is applied at full strength with a clean white cloth or sponge. It’s vital to ensure that a surface is cleaned thoroughly cleaned ahead of time to avoid trapping dirt in the stone. Visit Nalboor online or call them at 305-501-4548 to learn more about these products and place your order. Your marble will last longer and be a source of pride for many years to come when it’s properly cared for.